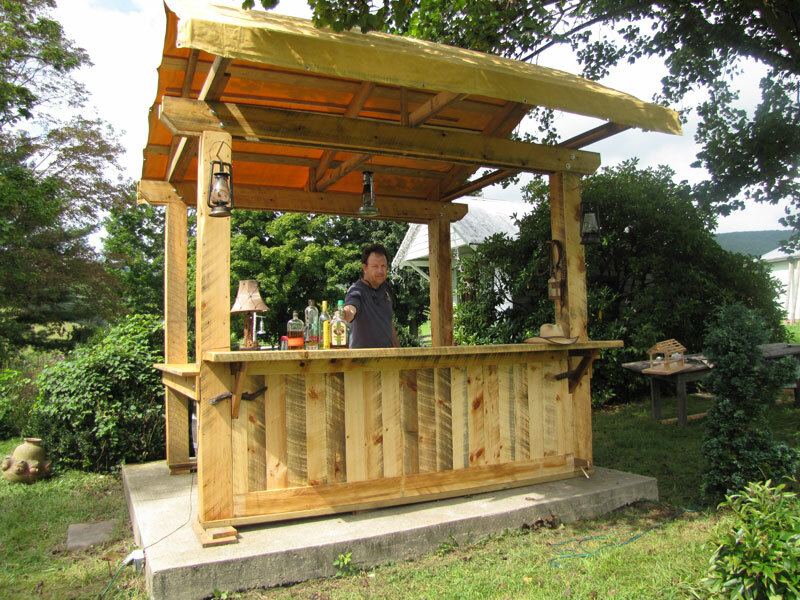 This is where you’ll find Tim Smith tinkering about his shop turning out custom-built furniture made of reclaimed woods, or intentionally weathered pine. Sometimes he dusts off a surface and lays out plans for a remodel or barn raising. He’s flexible that way. While putting a finish on some trim, Tim turned to an onlooker and said, “Someday when you write my obituary, would you tell people one of my favorite hobbies was oiling hardwood?” Welcome to Smitty’s world. We can take your idea and make it come true. Got a picture from a catalog, or a stack of lumber from a special tree? Show it to us and watch what happens. 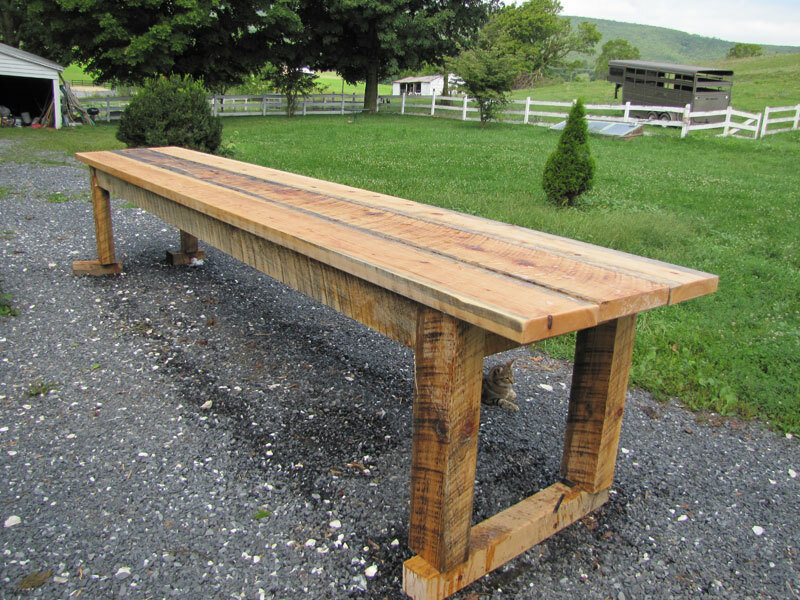 Do you want to buy a table from Robert Redford, or a table from Tim Smith? Redford won’t deliver it and stay for dinner, so you had better read on. 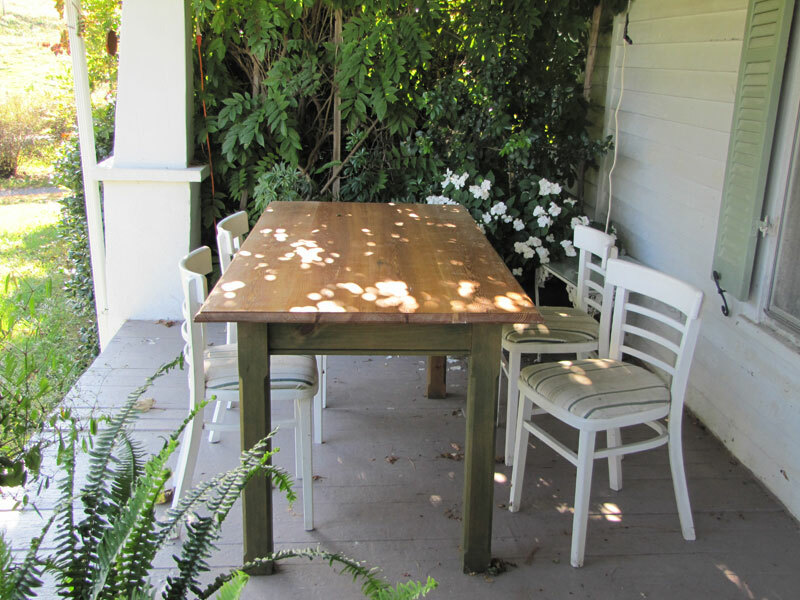 Tables, benches and bars are available to rent. 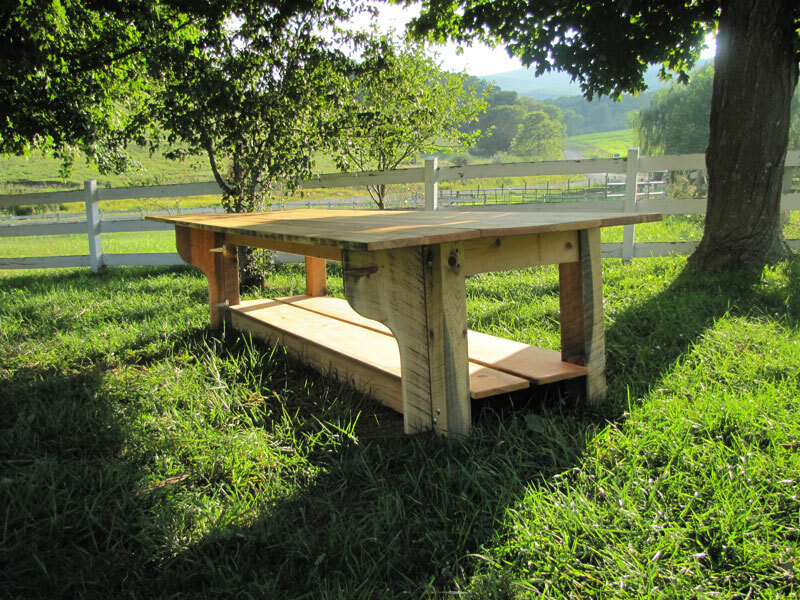 A sixteen foot long harvest table with a two inch thick top made to stay outdoors. Twelve Foot long rustic pine with a drop leaf on one side to be used in a sewing shop, The Woven Home in Lynchburg, Virginia. 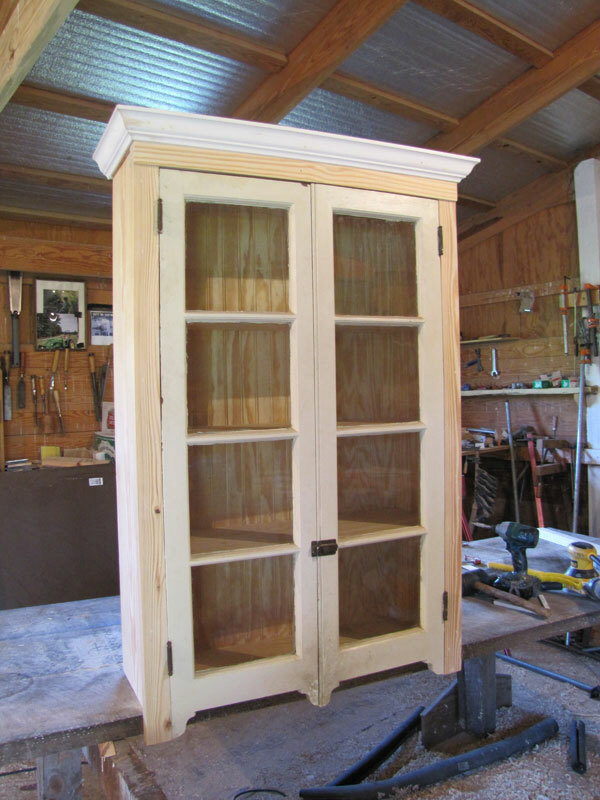 Cottage Cabinet Constructed of pine with a bead-board back and repurposed antique glass doors, to be painted by the client.